This is a unique opportunity for you to enroll someone in the Association. 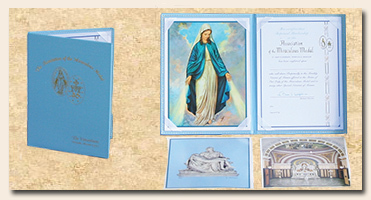 When someone becomes a perpetual member of the Association, that person shares not only during life but also after death in the Masses and novenas of Masses, for as long as the Association endures and the Shrine in Perryville remains as its center of prayer. Read about the spiritual benefits in which members share. 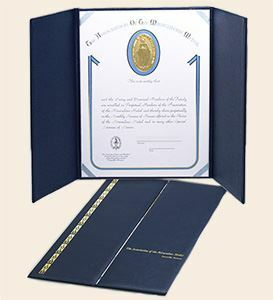 Each Family Perpetual Membership comes with an engraved certificate in a deluxe 9 1/2" x 12 1/2" folder. 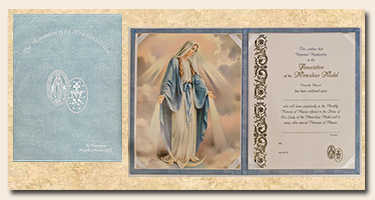 You may take out a Family Perpetual Membership for an offering of $50. This membership includes husband and wife, and their children. It also includes the parents, brothers, and sisters of both the husband and the wife. 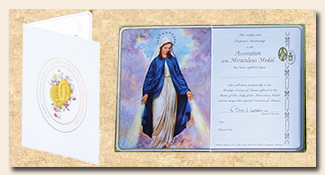 Each family enrolled receives a beautifully imprinted certificate. 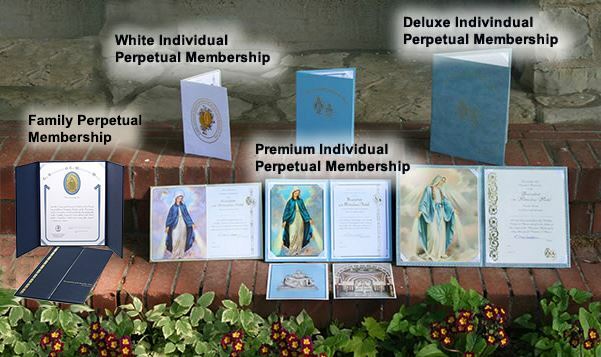 For birthdays, anniversaries, or other special occasions, Perpetual Membership in our Lady's Association makes an attractive gift with deep spiritual meaning. It is a gift which people will appreciate more and more as the years go by because, unlike other gifts, this membership never loses its original value. A Perpetual Membership in the Association is a most appropriate expression of sympathy to anyone who has lost a dear one by death. It is truly a lasting memorial.